Become a member or renew an existing membership. Do you share our passion for the classical tradition? Please consider making a tax deductible donation today to support the Institute. 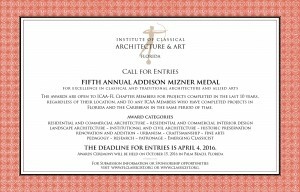 The 2018 Addison Mizner Awards Call for Submissions is now closed. Click the link below to learn more about the awards and how you can submit your work for consideration. 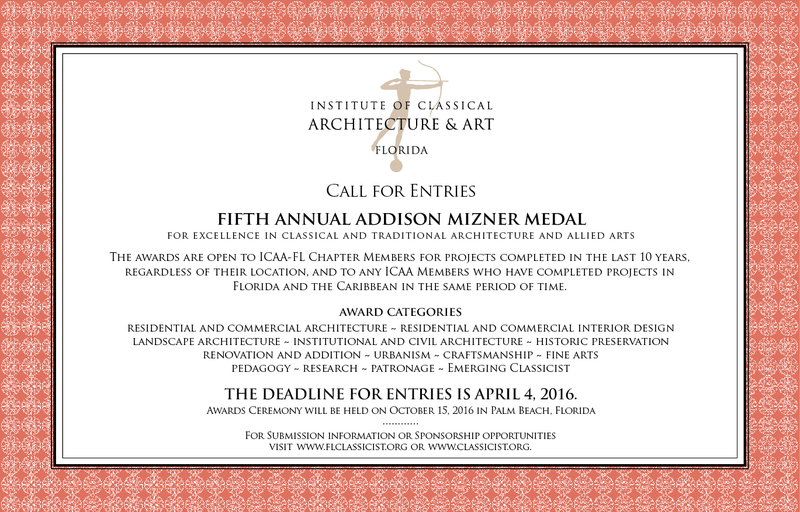 © 2019 Institute of Classical Architecture & Art Florida, Inc.